As the saying goes, curiosity killed the cat. However, there are some people out there who would have you believe that this may not be strictly true. These people, who to the detriment of everything else, believe that there is more to disasters, assassinations and general wrong-doing than meets the eye. For as many of these occurrences that have taken place over the years, it seems that somewhere, someone will be quietly collating information and data, ready to prove their alternative theory. How they come to their conclusions is sometimes ‘interesting’, but in many instances, their beliefs can also be very convincing. Everyone is entitled to an opinion and it’s not to say that somewhere along the line maybe there is more than a fraction of truth in some of these alternative beliefs. It just seems that with some conspiracy theorists, absolutely nothing can be taken at face value and in their opinion, there will always be an alternative and sometimes downright bizarre ulterior motive. But if you consider the effect the so called ‘Roswell Incident’ had on the nation, as an example, is it any wonder that these theories abound? Whether it was an extraterrestrial space craft, complete with alien occupants, or as the USAF maintain, the debris from an experimental highly classified balloon, it’s unlikely we’ll ever know for certain – and that only fuels the theorists’ fire. 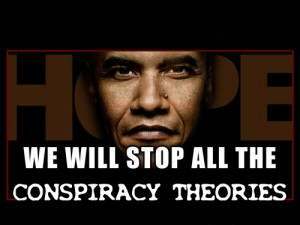 With numerous conspiracy theories prominent in American history, there are a number that even the most anti-conspiracy individuals know well and the following are arguably the three most notable. Whether there is any truth behind them or not is another matter, but the coverage surrounding them has without doubt led to what seems like a growing number of people believing that what they were first told may not have been completely accurate. 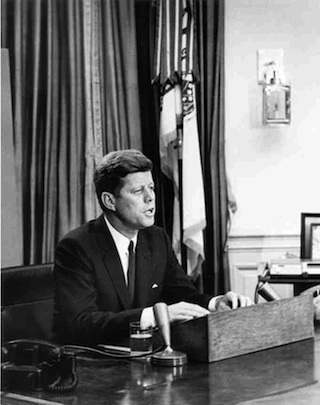 John F Kennedy, the 35th President of the USA was killed after he was struck by two bullets – one in the head, the other in the neck – in Dealey Plaza, Dallas, Texas on Friday November 22nd 1963. Travelling in the presidential motorcade in an open topped limo along with the Texas Governor and their wives, the attack took place in broad daylight with hundreds of people nearby. 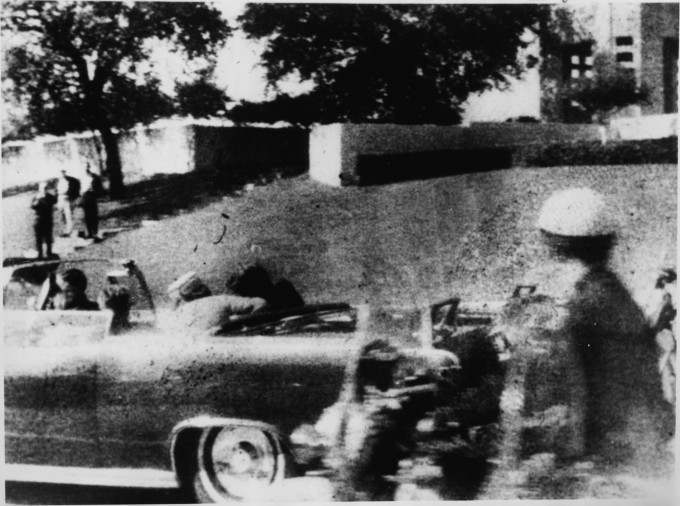 Although Lee Harvey Oswald was arrested for the murder, conspiracy theorists claim that Oswald, who was behind and to the right of the motorcade in the book depository, could not possibly have caused the horrific injuries that the President and the Governor received. 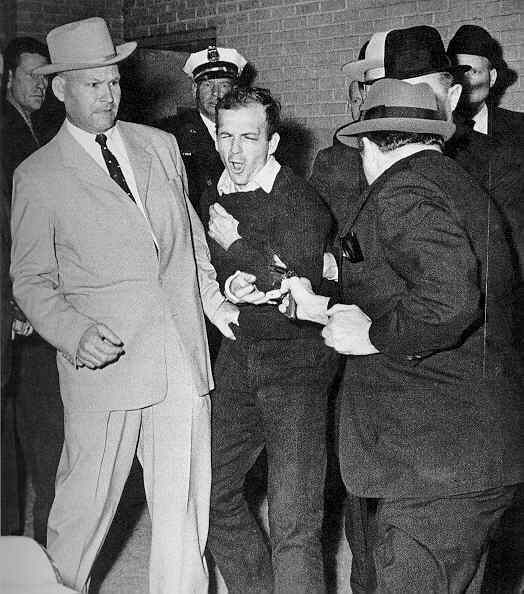 Although arrested, Oswald himself was never to see the inside of a courthouse to answer the charge as two days after the event, while being transferred to the county jail, he was shot dead in full view of live television cameras by Jack Ruby, which simply makes the conspiracy theorists question the whole situation more. And to add further credence to their claims, 40 years later – and despite the fact that a presidential commission had found that Oswald had acted alone – several polls conducted during 2003 showed that between 68% and 83% of people still refused to believe the official line. Who it was that carried out this assassination (if it was not Oswald alone, a second shooter on the nearby grassy knoll is a favourite theory) is surely going to be a subject of great debate for many years to come – as is the reasoning why. 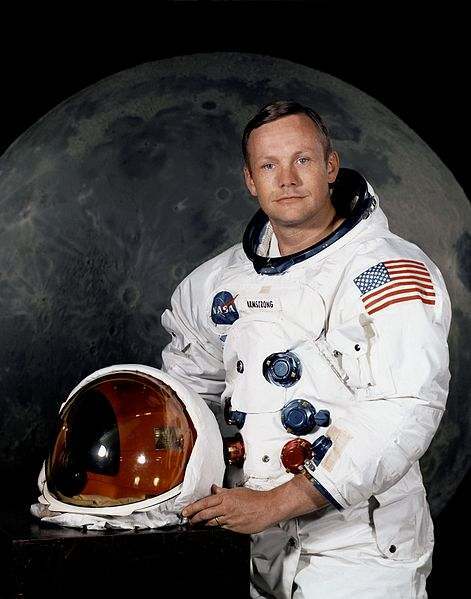 In July 1969, Neil Armstrong became the first man to ever set foot upon the surface of the moon, closely followed by Edwin “Buzz” Aldrin. The historic mission – one of six manned missions between 1969 and 1972 – began a whole new chapter in the story of space travel. 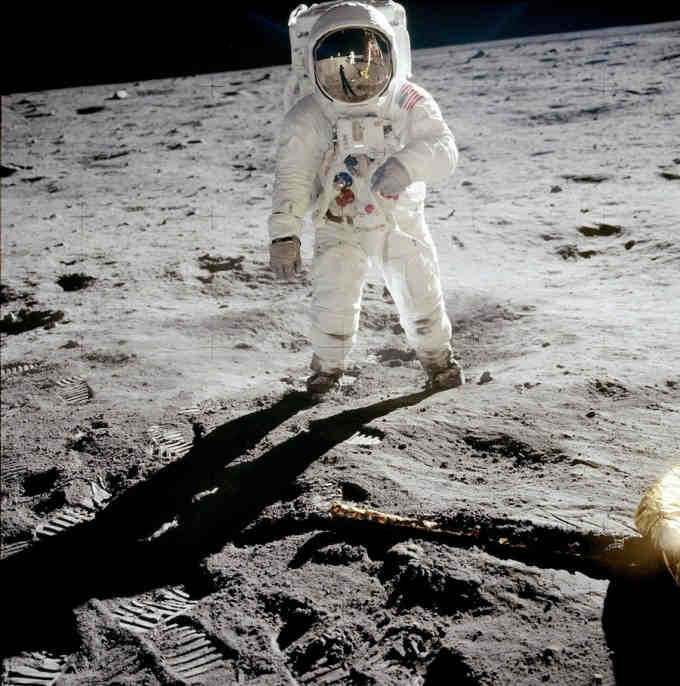 It was during these three years that suggestions started to be made that part – or even the entire – Apollo program, including the moon landing, was nothing more than a gigantic hoax. 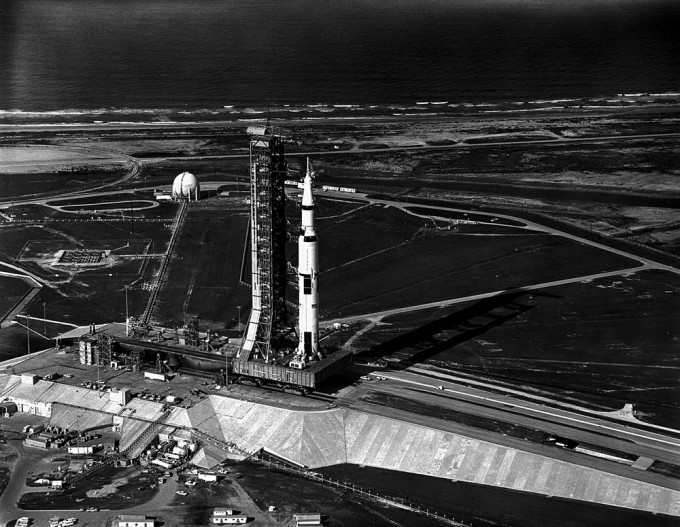 The theorists alleged that NASA and some willing associates knowingly and fully intentionally attempted to mislead the general public into thinking that they had won the space race (largely for ‘power’ purposes – whoever reached the moon first would be seen as the dominate world leader). Basing their theories on what they describe as gaps or inconsistencies in the historical record of the actual mission, they also believe that they could not have taken place with the computer power available to NASA at that time. At the end of the Apollo program in 1975, it was thought that the hoax stories would fade away, but nothing could be further from the truth. Sticking around for many decades, there are still those today who, over 40 years later and despite third party evidence in favour of the landing, still refuse to believe that the 1969 walk on the moon ever took place. The horrendous events of September 11th 2001 and the devastation that it caused left a never healing scar in the minds of so many people. Despite this fact, it is estimated that around one third of all Americans fervently believe that all is not as it seems and there is more to this disaster than meets the eye. Totally disregarding the official conclusions, these people have more than one theory of their own about the events of that fateful day. 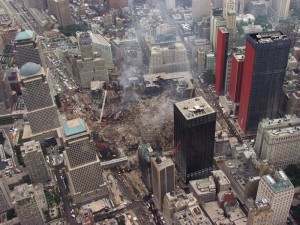 They consider, amongst other things, that the buildings were not razed to the ground by the crash, ensuing fire and structural failure, but by a controlled explosion as on a demolition site. 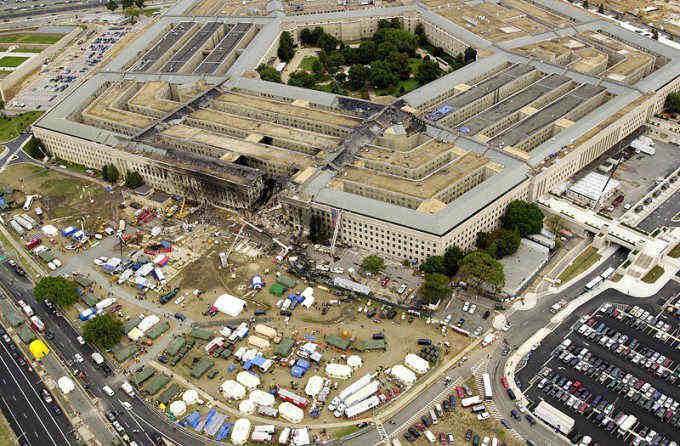 Furthermore, they seem unconvinced that an aeroplane made from aluminium could cause such appalling structural damage to a building and that the Pentagon was in fact struck by a missile, not a plane (or not solely a plane). Basically, all theories appear to slant towards the whole episode being an ‘inside job’, carried out in order to systematically pull the wool over the eyes of the public for a variety of reasons. Despite many of the claims being investigated and consequently rejected by acknowledged experts, the theorists maintain their beliefs and what is slightly concerning – or at the very least, interesting – is that the number of people questioning the attacks is believed to be continually growing. What do you think about these conspiracy theories?